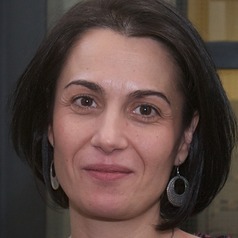 Milena Pavlova is Associate Professor of Health Economics at the Department of Health Services Research, Faculty of Health, Medicine and Life Sciences, Maastricht University. Her research focuses on the financing of the health care and long-term care sectors, formal and informal patient payments, as well as stated preference approaches, such as willingness-to-pay methods. From 2008 to 2013, she was the coordinator of the international FP7 project “Assessment of patient payment policies and projection of their efficiency, equity and quality aspects: the case of Central and Eastern Europe”, which studied the issues of out-of-pocket payments in Europe, specifically in the Central and Eastern European countries. She is Section Editor at the impact factor journal BMC Health Services Research and recipient of the 2016 AXA Award of the AXA Research Fund for successful mid-career researchers.